Our trained team can help remove the appearance of sun spots and freckles as well as lesions. 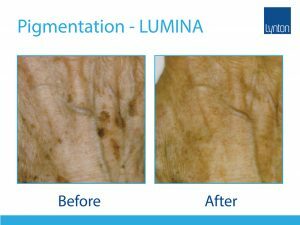 We can help reduce your wrinkles, pigment and lesions within 6 weeks of treatment. Do you have skin pigmentation, such as age spots, brown spots or dark spots on your skin, hands, and face? 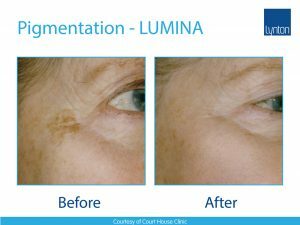 These spots can significantly show signs of aging if left untreated, and can be effectively resolved with a series of laser treatments. Light is released in short pulses that are readily absorbed by the high concentration of melanin found within pigmented lesions. Rapid absorption of light energy heats the melanin and causes destruction of melanin-rich cells. The light applicator is placed on the skin and short pulse of light is released. The applicator is then moved to the neighboring areas and the process is repeated. 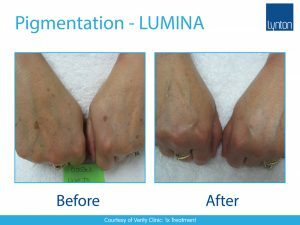 The treatment is suitable for most people, and we recommend a full consultation with us if you are worried about your age spots. Large, mottled and dark pigmentation skin cannot be treated but may need to be seen by a dermatologist. There may be light bleeding from the skin and a dressing may be applied after the treatment. There may be minimal bleeding when the laser creates a pinpoint sharp spot on the skin. A dressing may need to be applied to the skin afterward.